Do you want to be more happy? Do you want to experience more joy and fulfillment in your everyday life? If so, then you’re not alone. Many of us say we want to feel happier every single day, but not many of us know that there’s a key missing from unlocking that door. As a result, happiness eludes us and leaves us feeling powerless to create it. But, it doesn’t have to be that way. 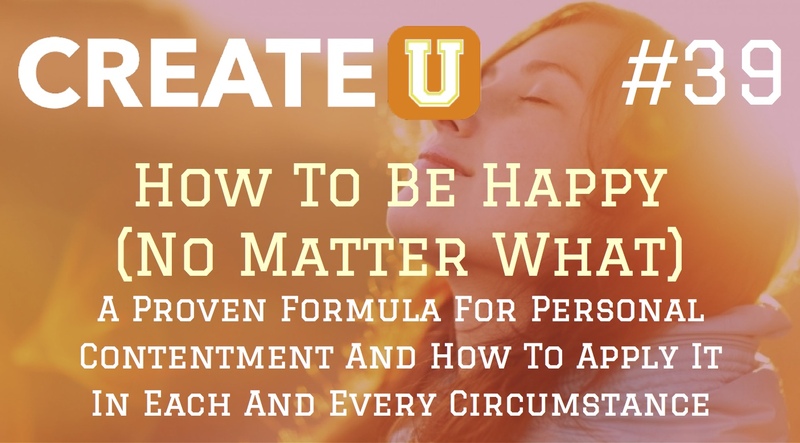 Today, I’ll be sharing with you a proven formula for personal contentment and how to apply it in every circumstance. So, if you want to experience more joy and satisfaction in the midst of any and every circumstance then listen to today’s episode as I teach you how to be happy (no matter what). Grab a copy of my book Your Best Is Next to create a more fulfilling future with all the happiness you want! Question: What is one breakthrough thought or “aha” moment you had about your own happiness while listening to this episode? You can leave a comment by clicking here.